A design that is completely different than what you imagined. A project that seem to require more money at every turn. Sound familiar? There are some rotten workers out there for sure. I’ve hired freelancers since 2006. I have experienced every one of those and more. It is not easy to admit but these are the lessons I have learned. According to the Merriam-Webster dictionary, scope is the extent of activity. It’s the range of operation. Some jobs are easy. With other jobs like building an e-commerce store, the scope can be a little fuzzy. You might have heard people complain about their designer trying to nickel and dime them. That does happen. But when I talk to people, usually the problem comes right down to the absence of scope. Let’s take the example of building an e-commerce store. Like a builder, the designer can build you a lavish home, or a small cozy cottage. Let’s say you ask them to build a cottage. Throughout the process, you make additions and changes. With each change, the builder needs extra time, more labor, or different materials. He may even have to knock down a wall and rebuild to accommodate your changes. Your builder bid on your contract based on a much different house. It’s unreasonable to expect them to absorb the difference. The same happens when building an e-commerce store, or any project. What you should do is take the time to write down how you envision the store to be like, and what features you want it to have. Then communicate this in simple language. I find bullet points help a lot. If you have seen this at another store before, give them the URL to that store. Create videos and take screenshots what these look like. Once both have reviewed and agreed upon the project details. Let them build it. Don’t go changing things around. It’s OK to make small modifications to language, colors and maybe even layout. But within reason. You can ask for milestone check-ins so you can take a peek at 20%, 40% completion and so on. Just be realistic. Don’t lose your head if you don’t see something at 20% when it’s scheduled for 80% completion. In the early stages, what you are looking for is whether you are headed in the right direction. Here’s a complaint I heard recently. Someone wants an image created for a blog post. She wanted a cat, wearing a vest and a purple hat jumping up and a text she provides on it. What she got was a stock photo of a jumping cat with her text on it. Granted, the designer could have warned her an image so specific would be hard to find. He could also have told her they use stock photography, but he’ll try to find one as close as possible. On the other hand, it’s Fiverr. You cannot expect custom photography for $5. Not even $20. At those rates, you can’t expect people to spend countless hours to find the picture either. What the buyer expected for $5 or $20 was a job that easily costs 1000 times more. That’s unreal and not fair. What should you do instead? Find a professional photography and pay them their asking price to get the exact shot you want. Or, relax your expectations. A lot. Chances are, the vest and purple hat have no impact on your sales. Go after the things that do. If the image looks nice enough and isn’t offensive, run with it. Don’t sweat the small stuff. On the heels of unreasonable expectations is crazy deadlines. First, telling your hire you wanted that yesterday will not motivate them to work faster. It only breeds resentment. Also remember, outsourced hires are not your employees. They can decline your job. Short deadlines are sometimes inevitable. Things crop up and in some industries like website recovery, short deadlines are a norm. Most service providers have a rush fee add-on. If something is urgent, pay them for it. If you can’t afford that, extend the time. What happens when you are always working with short deadlines? Then what you have, is a project management problem. Tackle that first. Then, work on outsourcing. This shouldn’t even be on the list. But it is because too many clients do not pay their hires, let alone pay on time. If you worked for someone and they never paid you on time, would you continue working for them? I think not. Oh and don’t haggle after the fact either. When a project is finished, pay them the agreed upon fee. Nit picking on a small pixel out of place, or asking for a discount because of something insignificant reflects poorly on you. Besides, outsourcers talk amongst themselves. Word gets around. Good people don’t work for poor paymasters. If the only people you seem to be able to hire are mediocre people, maybe it’s because you don’t pay, or pay on time. Do you run out to find a new graphic artist every time you need a new image? Or do you have an artist who has worked for you for years and gets every graphic task you need? If you get someone new for every job and every task. This hurts you. Getting people up to speed on your business is a costly affair. A regular hire already knows your business. They know your likes and dislikes. They know your habits, your workflow, your outlook. Because of this, they actually become faster and more accurate and over time, cost you less. What you should do is find the one who works well with you. If possible, they should also enjoy working for you. Once you do, keep them busy. At the end of the day, outsourcing is a lot about leadership than you think. Too many entrepreneurs come into the picture with the posture of a “boss”. I sit here above, giving all the directions, you do the work. Whether you say it or not, this kind of attitude comes through. Even online where nobody sees you. It comes across in the tone of your emails, and the deadlines you give. It comes across when you hover over projects, and when you negotiate every hour they clock. Learn to be a good leader. Give praise and recognition where due. Thank them. Again and again. Never underestimate the power or that. Be humble. Learn to be thankful for their service and not pay lip service. Your hires know when you are not genuine. You need them as much as they need you. Sure you can always hire someone new but remember reason #5 above. Getting people on board is costly. If you are at all concerned about your bottom line – and you should be – keep new hires to a minimum. Finally, just because you don’t hire the right person the first few times is no reason to stop. It can take a while to find the perfect fit. Don’t be afraid to let people go if they aren’t, and do it fast, but keep looking. I am also facing problems when I am hiring freelancers from freelance marketplaces. But your tips can help me. I will try to follow your given tips to solve my outsourcing problems. Your post was awesome and very helpful. Thanks for sharing. We manage one the deemed client from Australia, he is still with us since 5 years, still with us. He has all good qualities as you mentioned above. Keep up the good food for thought! Not all outsourcing options are good. Dedicated support is always way too go. Yes. I don’t do client work anymore with the exception of a handful of people whom I’ve been with for years. Good people. 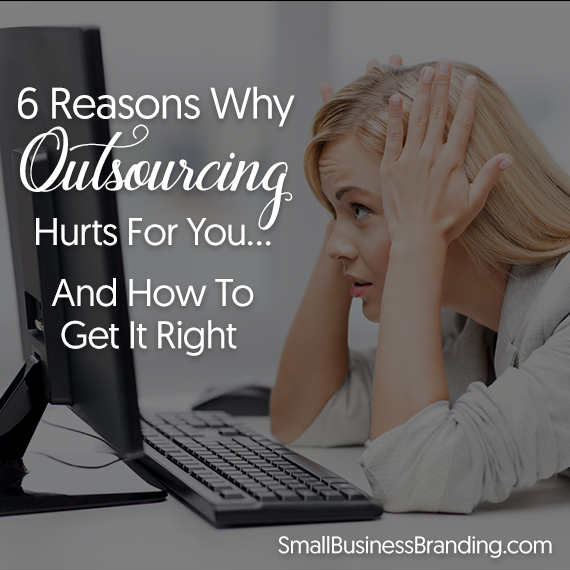 Thats absolutely right that outsourcing hurts. The main issue I feel is about the deadlines. Freelancers take the work for granted and in the end client has to face issue. If your hire consistently misses deadlines, then the best thing to do is follow the golden rule, hire slowly, fire quickly. I got it when you said “poor paymaster” – so many clients hardly pay esp after the job has been done. This list will solve a big problem if taken into consideration. I hear you. I’ve been there. Also, those who want you to work first and pay you with profits on a project that you don’t even know will be profitable. Well as a freelancer and social media manager, I had problems getting paid when the job was finished. I made it mandatory to pay me in advance and even if I lose a client it’s okay. Your post was very informative thanks for sharing. That’s another way to resolve the problem. In some projects, it’s not possible to get a final price. Especially long term projects. In that case, it could be a down payment and additional payment at a pre-defined time before work starts for the 2nd phase. You correct some time, but not every case. 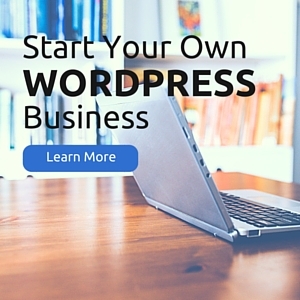 why because of so many people are doing freelance projects & on time delivery and less cost. This one is my first visit at your website and I found lots of information.. I think you misunderstood me. I didn’t say freelancers are unreliable. Quite the contrary. As freelancer, normally i will collect a 50%-30% to start the project.